Gift vouchers may be redeemed by email, phone or on-line. To redeem your voucher you will need the Voucher number and the Account number. Both these may be found on the bottom right of your voucher. 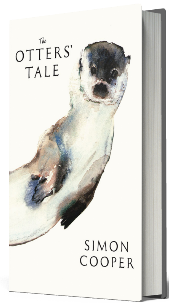 Click here Use the on-line booking system as normal, entering Voucher number and the Account number when you reach the payment options screen. 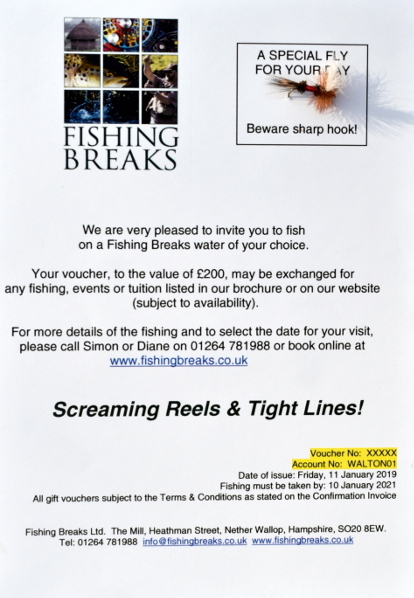 Email vouchers@fishingbreaks.co.uk with your preferred date(s) and voucher details. The Voucher and Account numbers are highlighted in yellow.